I think your articles on this subject are of great importance to the new generation who are given less and less choice in the traditional (and very dated) job market in general. This may mean a way of survival to all of them. You should compile all topics on this matter and make it into a book. Not to make money since you have now the content available for free, but for direct reference for months and years to come, so people do not have to dig and search your previous posts. To have this information readily accessible at any time. Perhaps make a direct link to it at the very least. In a few months, newcomers to your blog who might have missed this important series of entries might not think about looking for them. This information is crucial and you are doing an awesome job sharing it with us. I second what JPilot said. It's clear that you've been collecting a significant amount of research and information on these topics. I'm personally very invested in the notion of artists adopting the mindsets of entrepreneurs as opposed to the 'dependent craftsman'. There are numerous other MaRS facilities across the country which, to my knowledge, also offer free business/entrepreneur workshops and advice. I've found it incredibly useful, though I do wish there was an optional 5th year of animation for those interested in learning how this can apply to animation specifically. Maybe I could teach this one day! One last thing, I feel that developing some kind of system of autonomy within our lives as independent artists is crucial to allow space and time to continue to create our own independent content. There are many ways to do this, and books that suggest options. My current method is to slowly buil a platform to develop passive income sources (ebooks, merchandise as you listed in this post, tutorials, webcomics, etc.). As you're suggesting, it seems that the rules have changed for those wishing to find ways to create their own content (which I think most artists do). The new difficulty then, is how to stand out among the many other artists who are finding ways to express their voice. The current capitalist viewpoint seems to suggest this competition is inherent - how limiting. I'll be trying my luck with the Kickstarter model by the end of this month so I hope to learn a lot from it. Love the talk so far and hope you continue (or publish!). I thought he was doing well enough with "Simon's Cat" that he didn't need to ask fans for money. Yes, for a long time he worked on his shorts for free. But doesn't asking for $472,000 seem a little - excessive? You know, good for him. It's nice to know that someone is making money in independent animation. And I guess the internet allows us to cash in on the good will we may have created. But well... I am just not used to this. Guess I'd better get over it. Am I the only one who is still not used to the idea of crowd funding? 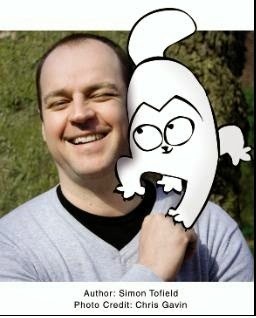 Must admit I reacted to Simon's Cat crowd funding in haste. After a few more minutes consideration, I conclude that if he wants to do it, it's fine. More power to him. The world is changing, and mostly for the better. We have possibilities available to us that just didn't exist before. Sometimes that takes a little getting used to.